Dallas, TX, March 7, 2018	(Newswire.com) - Blue Science, the fastest growing swimming pool company in Texas, projects it will complete its 1,000,000th pool cleaning in 2018. The company's pool cleaning, repair, and remodeling customer bases have grown exponentially in its 10-year history due in part to its industry-leading service guarantee. Blue Science is now doubling down on its commitment to be a premier pool builder in DFW with a new corporate office and showroom on the edge of The Colony and Plano. The area is the 2nd fastest growing metro in the nation according to recent Census figures. The showroom is now open for appointments at 5733 State Highway 121 Suite #250 The Colony, TX 75056. Blue Science President Gabe Ullmann, a lifelong Texas resident, is a believer in the state's resiliency to weather economic storms which can disproportionately affect pool construction companies. Having been involved in the pool business since he was a teenager, Gabe knows Texans and their love for custom pools as well as anyone. "North DFW is flourishing with new home purchases and these homeowners want custom pools built by a local company they know will be here and is not going anywhere," Ullmann said. The company services Dallas, Houston, Austin and San Antonio residents using proprietary quality control software that notifies customers with before and after photos following every pool technician visit. Now Blue Science is using its team of tech-savvy, creative professionals to deliver industry advancing pool designs to a hungry and highly competitive construction market. 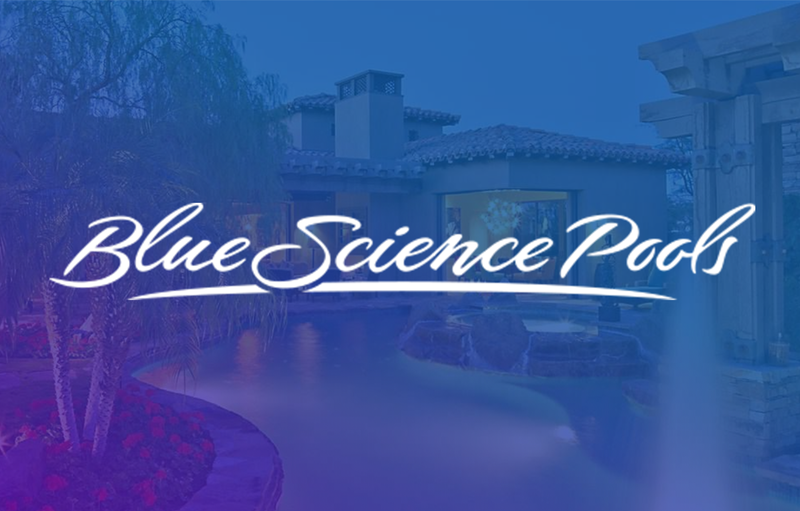 Blue Science is the top pool company for Dallas, Houston, Austin and San Antonio homeowners. Offering backyard renovations, pool construction & remodeling, and weekly pool service plans backed by an algae free guarantee.